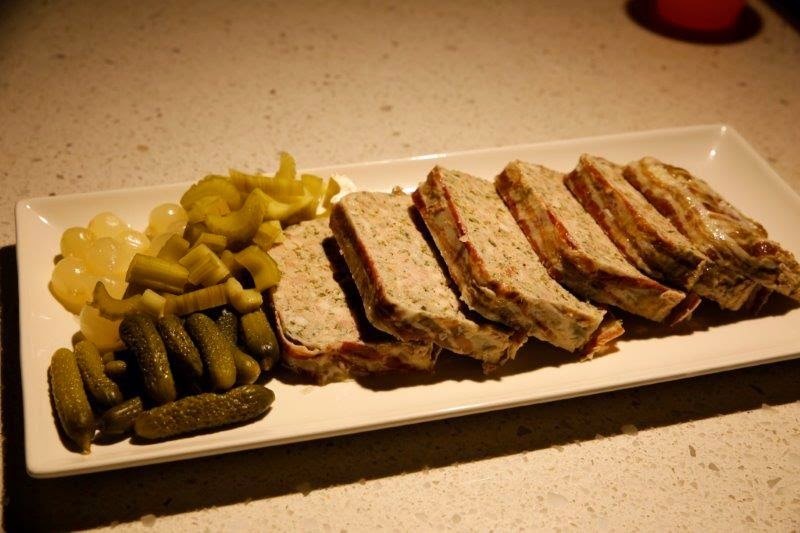 I've made a few terrines now and it's especially good when shared with friends and family. I love being in control of the mincing since I received a sausage mincer attachment for my birthday. Great present sis. With a trip to Tathra on the agenda, my contribution was going to be a rabbit terrine. I sourced my ingredients from Vic's Meats, Fish Markets and they happily deboned the rabbit and kept the livers for me to use. If you can't get your hands on pork cheek, then go with pork shoulder. I also love making a pork terrine with pistachios but that will be for another post. The secret to making this terrine according to charcutier Romeo Baudouin from Victor Churchill, Woollahra, is to have the right balance of lean meat and fat in the mixture, and also to weigh out the meats after you have trimmed them to ensure you have the right ratio of mixture to salt. Full of flavour with armagnac, wine, shallots and herbs, the terrine is fabulous served with cornichons and good sourdough. 1. Combine the rabbit, liver, pork cheek, pork fat, salt, pepper, armagnac and wine in a large bowl. Leave to marinate in the refrigerator overnight. 2. The next day, push the meat through the coarse plate of a mincer into another large bowl. Add the shallots and herbs and mix well with your hands, then mix in the egg whites. 4. 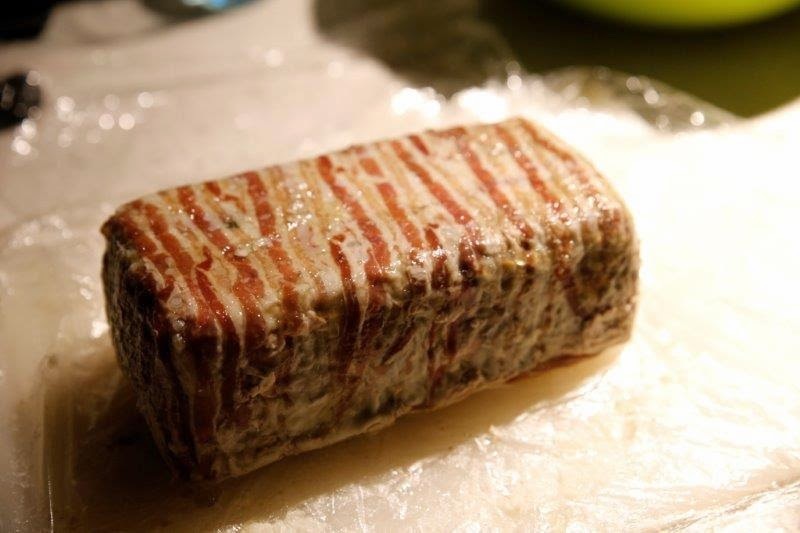 Line the base of a terrine dish with the lardo or pancetta, if using. Take handfuls of the meat mixture and throw them into the terrine from a short distance, to ensure the meat goes into the dish without any air pockets (which can oxidise the terrine). 6. Place the terrine in a deep dish and bake in the oven until the top has nicely coloured to brown (about 20 minutes). Pour boiling water into the dish to surround the terrine and come halfway up the sides, and reduce the oven temperature to 100°C. 7. Bake until the internal temperature of the terrine reaches 75°C when tested with a meat thermometer (about 2-2½ hours). Leave the terrine to cool. 8. To make the glaze, soak the gelatine leaves in a bowl of cold water for 5–10 minutes. Bring the stock to the boil in a saucepan. Take the gelatine from the bowl, squeeze out the excess water, and stir into the hot stock until dissolved. Leave to cool until the mixture starts to thicken and set, then pour over the terrine. 9. 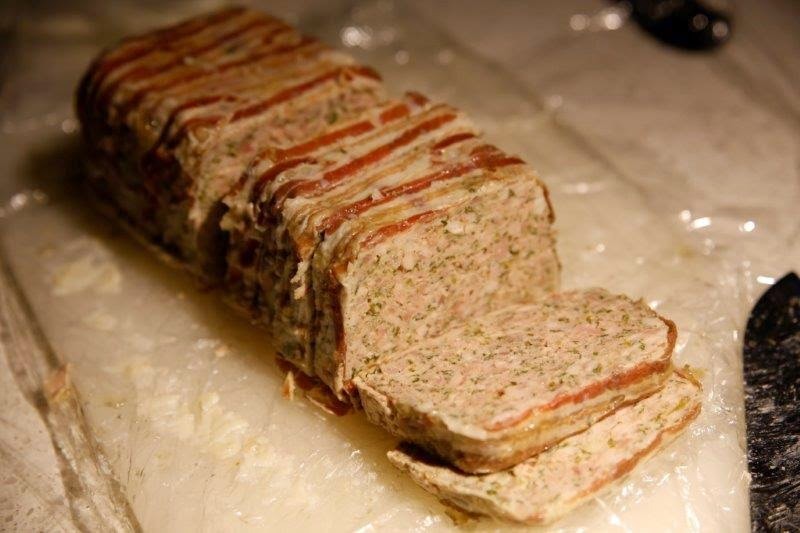 Refrigerate the terrine for 24 hours before serving in slices. 10. Will last for up to 2 weeks in the fridge if it lasts that long. Start a day in advance to marinate the meat.